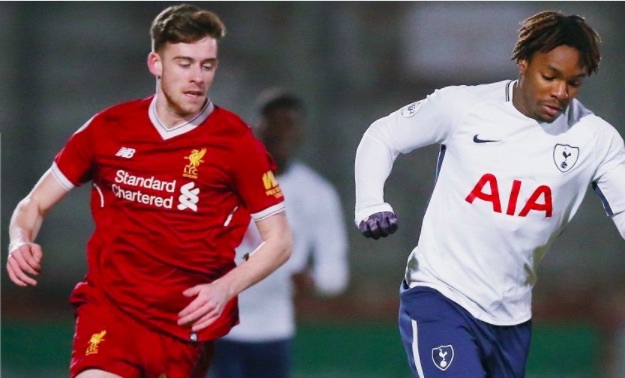 Teenage left-bak Tony Gallacher made his Liverpool U23 debut against Spurs last night. The 18-year-old Scot signed from Falkirk for £200k during the January transfer window, having shown great promise in their first-team. Liverpool lost 1-0, with Adam Lallana and George Johnstone both sent off, but Gallacher enjoyed the experience of the frenetic game enormously. He told Liverpoolfc.com: “To get my first start so soon and playing in a game of such high intensity, I really enjoyed it. “This is a young group of players and sometimes you would expect heads to go down because there’s not that much experience but the boys stuck to it and we battled away. “It’s really good and I’m settling in very well,” he added. We just hope Gallacher develops into as good a left-back as his countryman Andrew Robertson, who’s been exceptional since winning Alberto Moreno’s spot in the team. For now though, a spot in Neil Critchley’s U23 side will be positive for his development. He’s not the only young left-back to have joined the club, with Colombian Anderson Arroyo now also on the books. The South American has been added to the Academy squad list, but will go out to play for Mallorca in an attempt to get him a work-permit.